The unlimited coverage of medical expenses under Michigan’s No-Fault Act can be the difference between recovery and bankruptcy. 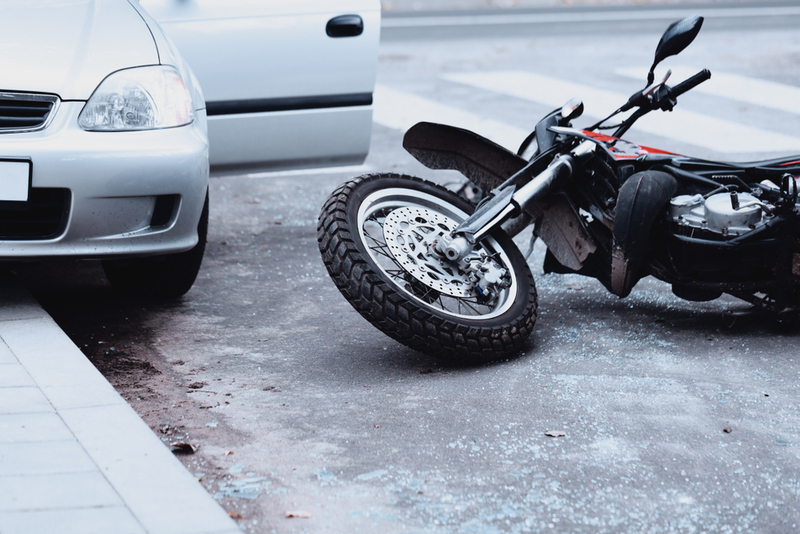 Injured motorists often have to fight to be covered after a crash – especially when they’re on a motorcycle. But a recent Michigan Court of Appeals decision opens the door for motorcyclists to receive benefits based on resident relative coverage. And that could come in handy if you don’t have a car of your own. Mr. Hmeidan was test-driving a motorcycle for sale by an associate when a car turned out in front of him, running the stop sign. Hmeidan hit the brakes, but that just put the motorcycle into a skid. He rear-ended the car, suffering serious injuries in the process. But the driver fled the scene, leaving Mr. Hmeidan the victim of a hit and run. The question for Hmeidan and the courts was which insurance company would pay his no-fault benefits and help him recover from the motorcycle accident. Hmeidan didn’t have a car – or a no-fault insurance policy himself. He lived at his mother’s house in Detroit, Michigan at the time of the crash, but his mother may not have. She testified she and Hmeidan were both spending time at her house and his brother’s home. That on-again, off-again living situation and the fact that this was a motorcycle accident created a question of priority among the no-fault insurers involved in the case. Was Mr. Hmeidan entitled to resident relative coverage for his motorcycle accident? Motorcycles are not motor vehicles covered under the Michigan No-Fault Act. Riders are not required to maintain PIP coverage (though optional no-fault plans are available) and insurers are not required to pay for all motorcycle accidents. However, nearly anytime a motor vehicle accident results in personal injury, whether to a driver, passenger, pedestrian, or motorcycle rider, one insurer or another will be responsible for no-fault benefits. The question of which one is a matter of priority. With the motor vehicle insurer of the owner of the motorcycle. MCL 500.3114(5). For Hmeidan, because it was a hit-and-run accident, his no-fault claims were already moved down to Number 3. But he didn’t have a no-fault policy of his own. The question was whether he could use the resident relative coverage under his mother’s policy. State Farm, which insured Hmeidan’s mother, said the language “motor vehicle insurer” in numbers 3 and 4 meant that it was only required to pay no-fault benefits to named insureds – in this case, Hmeidan’s mother. Since there was no limiting language like State Farm suggested, Hmeidan was free to use the resident relative coverage under his mother’s policy. That is, if a jury found he and his mother actually lived at the same address. The court sent the case back to the trial court so the jury could decide. Insurance companies can get creative when trying to avoid paying no-fault benefits after a motorcycle accident. That’s why you need an experienced personal injury attorney to help you respond to their arguments. At Macomb Law Group, our personal injury attorneys know how to make the No-Fault Act work for you. If you or a loved one have been seriously injured in a motorcycle accident, contact Macomb Law Group and get our team working for you.